French petite butter cake in a sea shell shape. 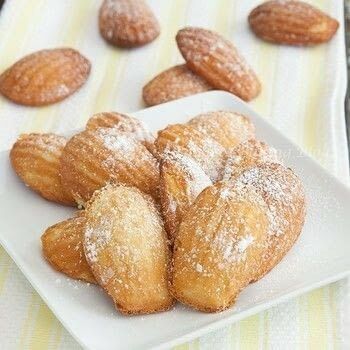 Madeleines are unique little cake, browned and crispy on the outside and spongy and soft on the inside. A perfect party favor. 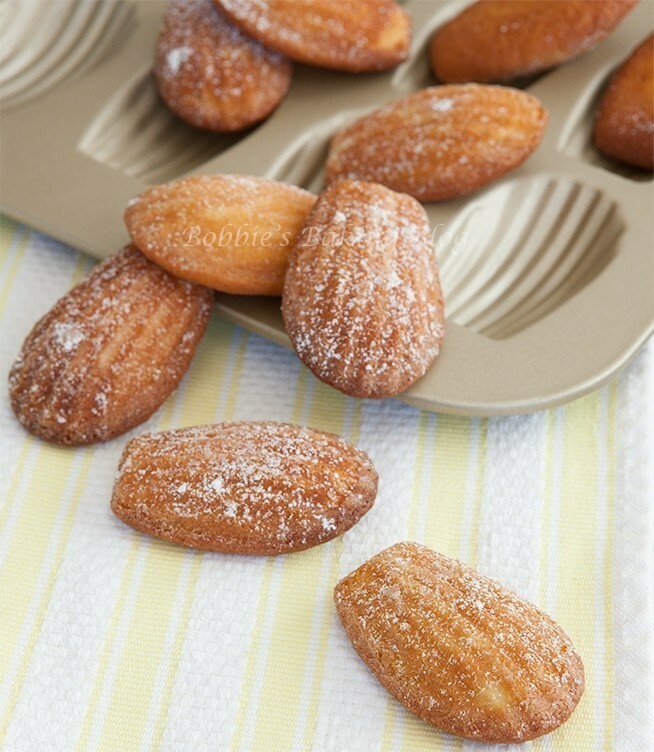 The trick to awesome madeleines is patience, the batter has to rest over night in the refrigerator. In a large bowl, whisk together eggs, sugar, sea salt, honey and vanilla seeds, until the mixture whitens. Add lime essence, lime zest, aroma mix. Sift the flour mixture into batter, stirring until smooth. Add the melted butter. Mix thoroughly. Cover the batter with plastic film and place in the refrigerator at least 1 hour, overnight is preferable! After allowing adequate rest time , divide the mixture into madeleines baking bans (silicone or buttered and floured baking pans). Place the prepared filled pans in refrigerator for 1 hour.